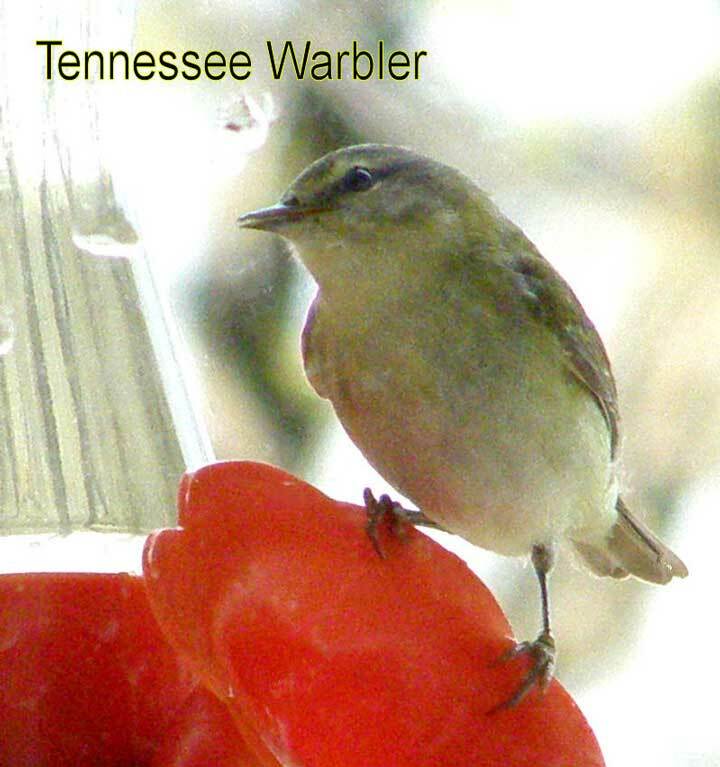 The new bird at our feeder is the Tennessee Warbler. A plain bird, with its gray head and greenish back it looks similar to a vireo. It has a yellowish eye bar and a trace of a wing bar. At 4 3/4 inches, it is a tiny bird and shares the feeder with the Hummingbirds.